The Revs continue to fine-tune their 2018 roster now almost two weeks into the season’s second half. The team’s newest additions are left-handed pitcher Mike McGee and infielder Henry Castillo. McGee joins the Revs after starting the 2018 season with the Westside Wolly Mammoths of the USPBL. He went 1-0 with a 2.38 ERA and one save in 11 appearances. He struck out 18 batters and allowed only seven hits over 11.1 innings. McGee has previously spent time in the Cincinnati Reds organization. The 25-year-old is a native of Drexel Hill, PA and pitched collegiately at the University of Buffalo. The Revs were in the market for another left-handed reliever to join Luke Westphal in the bullpen now that lefty Robert Carson is in the starting rotation and lefty Pat McCoy has been released. McGee gave up one run in one and one-third innings of work in his team debut on Thursday, July 19th in Lancaster. Meanwhile, Castillo comes to York after a brief stint with the Dominican Republic guest team in the Can-Am Association. Castillo, 23, began his professional career in 2013 as an 18-year-old for the Arizona Diamondbacks’ Dominican Summer League team. Castillo spent the entire 2015 season at Low-A Kane County and batted .315 with three home runs, 16 doubles and 32 RBI in 79 games. He spent all of 2016 and 2017 at High-A Visalia, playing over 100 games in both seasons while hitting a combined 18 home runs and 61 doubles with 111 RBI. The Revs were looking to bolster their infield with a versatile defender and found that in Castillo, who mainly played second base in the Diamondbacks system, but also saw time at third base and shortstop. Infielder Zach Wilson, who battled groin and shoulder injuries this season, was released to make room on the roster for the new additions. Wilson hit .250 with four home runs, 13 doubles and 24 RBI in 49 games while playing both corner infield positions. The York revolution continue to alter their 2018 roster because of injuries. The Revs added infielder Nick King last week and catcher Roger Alfredo Guedez Diaz this week. The Revs needed some infield depth while Zach Wilson, who was placed on the disabled list this week, was playing through a groin injury, and they got it in the form of 24-year-old infielder Nick King. A native of Palm Springs, California, King spent the last two seasons in the Pittsburgh Pirates farm system, reaching as high as High-A in 2017, while also playing four games with Schaumburg in the Frontier League in 2016. He hit .185 with 9 RBI in 40 games between three different levels in 2017. King played his college ball at the University of Georgia. The Revs signed Diaz for catching depth now that Tyler Clark has been sidelined for a few days with a bruised hand. Diaz joins the Revs after starting the 2018 season with the Plattsburgh RedBirds of the Empire League. In 2017, Diaz hit .279 with 18 RBI in 36 games for the Aguada Explorers. He had more walks (13) than strikeouts (10). Diaz, 27, played his college ball at Grambling State University. The York Revolution made a flurry of roster moves over the last week, bringing in three new players and one returning Rev to the roster. The first move came on June 12th when the team brought back left-handed pitcher Logan Williamson, who previously pitched for the Revs from 2015 through 2017. Williamson was a member of the championship team last season and went 6-9 with a 5.20 ERA in 129.2 innings of work. 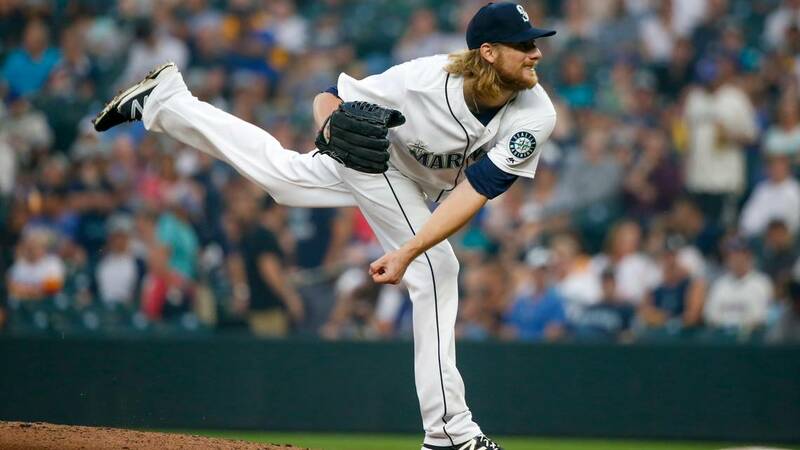 The southpaw made 26 starts and one relief appearance and struck out 49 batters. Williamson started a divisional series game on the road against Southern Maryland and earned the win, allowing just two runs in six innings with five strikeouts and no walks. Williamson has made two starts so far this season for York and has a 1-1 record. He now has 22 wins in his Revs career, the fourth-most in franchise history. With his first out in the third inning in his last start on June 18th, Williamson became the third pitcher in Revs history to reach 400 innings in a York uniform, joining Corey Thurman (980.1 innings) and Chris Cody (517.0 innings). Three days later, the Revs added outfielder Tyson Gillies to the roster. Gillies, a former Seattle Mariners and Philadelphia Phillies prospect, joined the team after spending the 2017 season with the Ottawa Champions of the Can-Am. Association. The speedy outfielder hit .294 in 71 games with 11 HR, 50 RBI and 46 runs scored. He picked up his first RBI and run as a Rev this past weekend in Southern Maryland, and went 2-for-5 with a two-run homer in his home debut at PeoplesBank Park on June 18th. The Revs then added right-handed pitchers James Pugliese and Devan Watts on June 18th after the team’s eight-game road trip concluded. Pugliese last pitched with the Double-A Tennessee Smokies in the Chicago Cubs organization before joining the Revs. He made six appearances before being released in mid-May. Pugliese, 25, went 7-2 with a 1.84 ERA and 48 strikeouts at Double-A in 2017. Opponents hit just .203 against him in 40 appearances (7 starts) over 78.1 innings. Pugliese was drafted in the 18th round in 2011 by the Cubs. Watts comes to York after making 20 relief appearances between High-A Florida and Double-A Mississippi in the Atlanta Braves organization this season before being released. Watts, 23, went 1-2 with a 2.59 ERA in 39 relief outings between High-A and Double-A in 2017. He struck 65 out batters in 58.2 innings and had five saves. Watts was the Braves’ 17th-round draft pick in 2016. The Revs released right-handed reliever Tyler Cravy on June 18th to make room for the team’s new additions.